People often think anti-Semitism is a thing of the past, but it still affects many people, includ­ing some Seminole State students. Despite facing turmoil, many who have faced discrimination have chosen to stay hopeful in the face of hate. Dr. Jacob Eisenbach, a 92-year-old dentist, lived through some of the worst atrocities committed by humankind. He is the subject of a book, “Where You Go, I Go,” written by Karen McCartney. 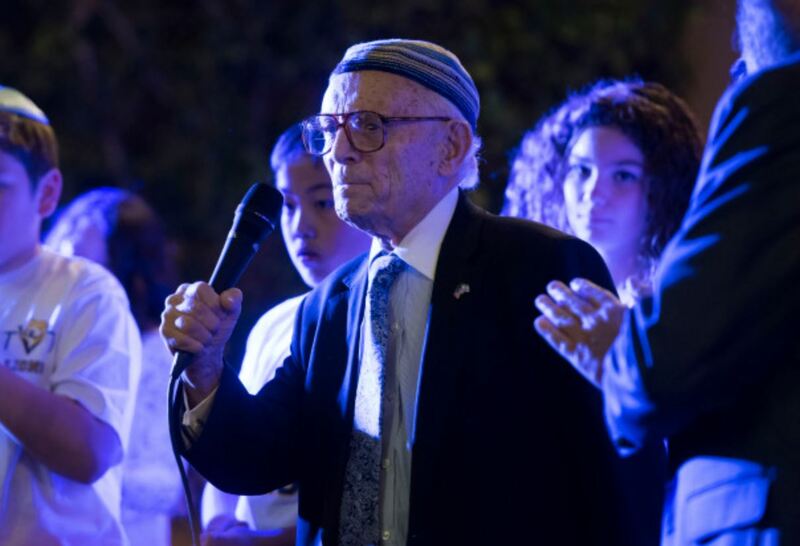 The book chronicles Eisenbach’s experiences in the Holocaust and shares his stories with others to spread one message: never again. “People who spread good will and life prosper,” Eisenbach said. He mentioned American actor, humorist and sometimes philosopher Will Rogers, who is famous for saying he never met a man he didn’t like. Most people are good, Eisenbach said. He talked about time he spent in China, and he had a chance to visit a school there. He said the teacher spoke Chinese, but the group had a translator. “You know what they teach children?” Eisenbach asked. “Love of family, love of country, respect for authority, and just all of these good positive things. Here, you have to get it either from home or from a religious institution, but they teach those things in school. He said he had many Chinese patients, who were wonderful people. I never met a man I didn’t like, but I didn’t meet Hitler. Despite having every reason to become disheartened, he loves others and has even opted to for­give the Nazis that changed his life forever. What would Eisenbach say to any young man today who identifies as a Nazi? He said most people who hate are failures. They are often un­successful in employment and socially they only know how to hate. Weiss, the sophomore at Seminole State, said there are parallels between the discrimination ex­perienced by Jewish citizens and the way that groups, such as Muslims, refugees and others, have been treated in the United States.